“Was Jesus gay? Probably,” a major article at the Guardian by an Anglican priest, is getting a lot of attention this week. Paul Oestreicher, a chaplain at the University of Sussex in England, wrote that Jesus was most likely gay, based on his relationship with his disciple John. Oestreicher goes on to say that Jesus’ sexual orientation doesn’t matter, except to remind the church to openly accept gay and lesbian Christians today. I am glad to see one more important church leader acknowledging the likelihood that Jesus was homosexual. When more people welcome the possibility of a queer Christ, then more people will also be able to see the Christ within us queers. 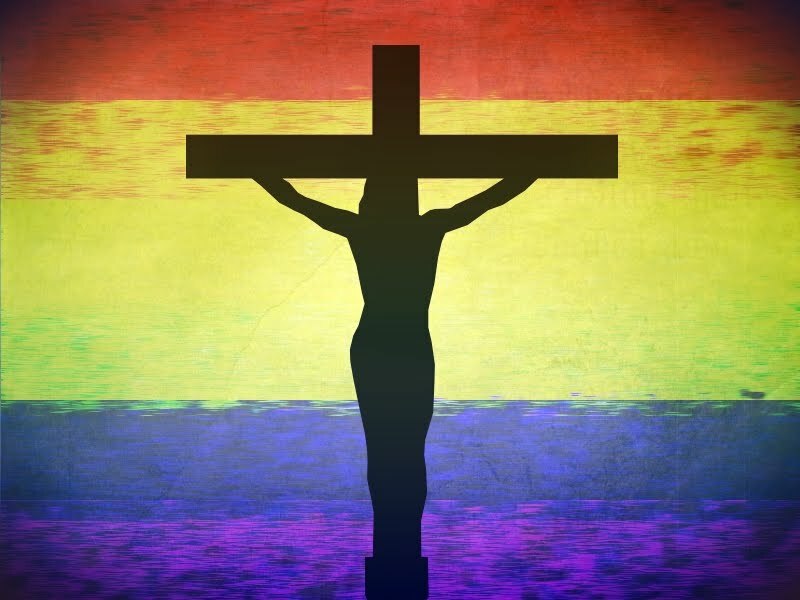 Jesus appears as a silhouette on the cross against a fractured rainbow sky in “Queer Jesus,” the image at the top of this post. It was created by Andrew Craig Williams, a queer artist, writer and music maker based in Wales who blogs at andrewcraigwilliams.blogspot.com. Special thanks to Colin and Paul Hartman for the tip about the Guardian article! Paul Oestreicher was once invited to be bishop of Wellington here in New Zealand, but the Puritans got their way and he went back to England. NZ's great loss! A wonderful man with a clear insightful mind - a brilliant academic and a total lover of all people. No wonder he never got wear the pointed hat. Thanks, Br G-M, for bringing a perspective from New Zealand where Paul Oestreicher grew up. He has an interesting life story. He was born in Germany in 1931, but had to leave when he was about seven years old because of his father’s Jewish ancestry, and the family moved to New Zealand. At least now people all around the world can share in his wisdom through the Internet. It was good, and timely that Oestreicher said what he said, but I can’t agree Christ's sexual orientation doesn't matter. It matters for two reasons 1) it affects how we understand Jesus and incarnation 2) if Jesus were at all provably non-heterosexual it would more than anything help resolve the endless and acerbic gay/Christianity debate. Of course, one would need to be very sure and have a strong case. which told the truth about the Corpus Christi film which defends a gay Jesus thesis through profanity and irreverence only, and gave the real, more historical and reverent response. Who answered? The terrible Peter LaBarbara of Americans for Truth who said he would be reading it (may it do him good!) and Rick Breitlinger of Gay Christian 101. I can’t even get “friends” of F/B to respond. The situation is an outrage and a blot on this community.... OK, there’s this much excuse that astrology sounds alienating to some, but they might at least be curious to see if there was something there and trust as an academic I don’t aim to mislead them. I am reminded of the Catholic astrologer who said to me, “I’ve always seen Jesus as an icon. I can’t look at Jesus so closely as this. Maybe one must be Protestant”. 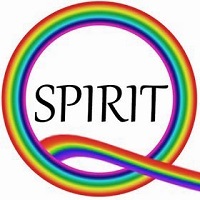 I’m more of the opinion maybe in this case you have to be gay to be quite so closed, blind or other things I won’t say because I feel rather disgusted…a bit like Christ on his generation: “we played the flute to you and you did not dance….etc.” (Matt 11:17). Gays don’t like censorship. In turn I don’t like the gay censorship. Hypocrisy by any other name, alas! Rollan, this post certainly got you thinking. I agree that Jesus’ sexual orientation does matter, especially with conservative using Christ as a weapon for spiritual gay-bashing. But I know what Oestreicher meant: Jesus’ life and teaching are equally valid whatever his sexual orientation. I left a new comment on your blog about your Corpus Christi piece.